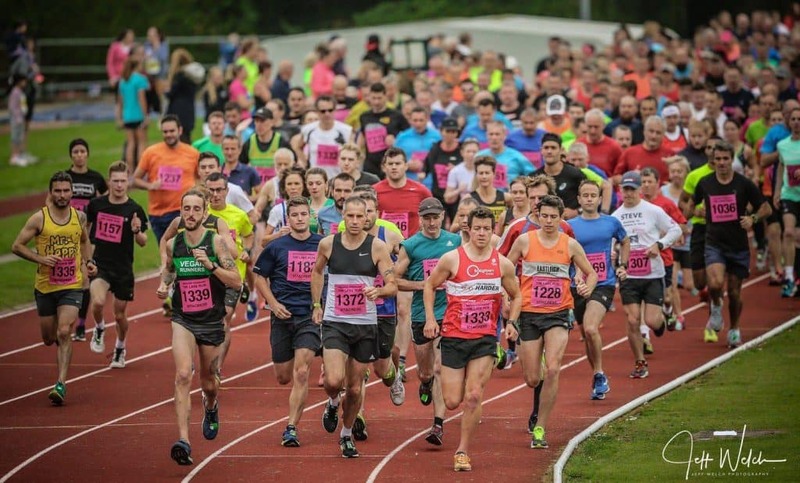 The second Andover 10k Lake Run was held on Sunday 17th at Andover Athletics track with record entries, helped by good conditions on the day. 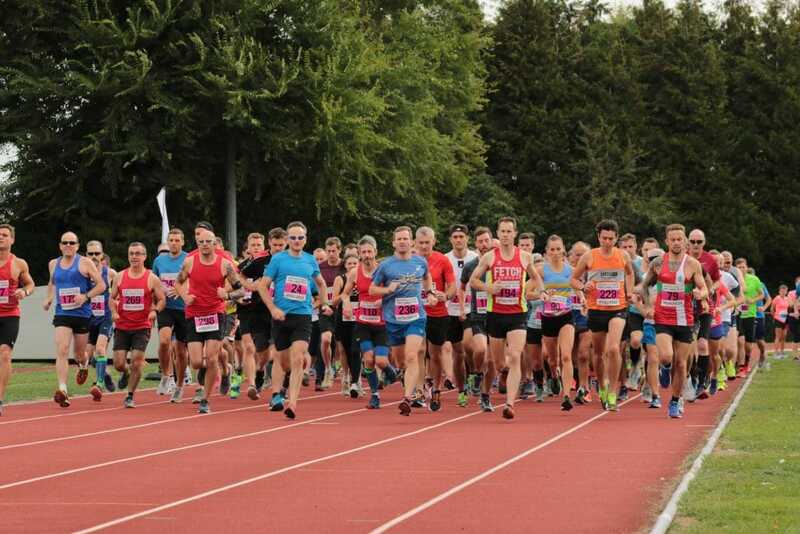 The 10k field increased from 247 to 325, despite the additional 5k contest which attracted 83 runners and finally with the Fun Run’s 43 runners. The overall total runners was 451 up from 345 which shows the Lake Run has quickly established as a key Andover event, with many returning runners. 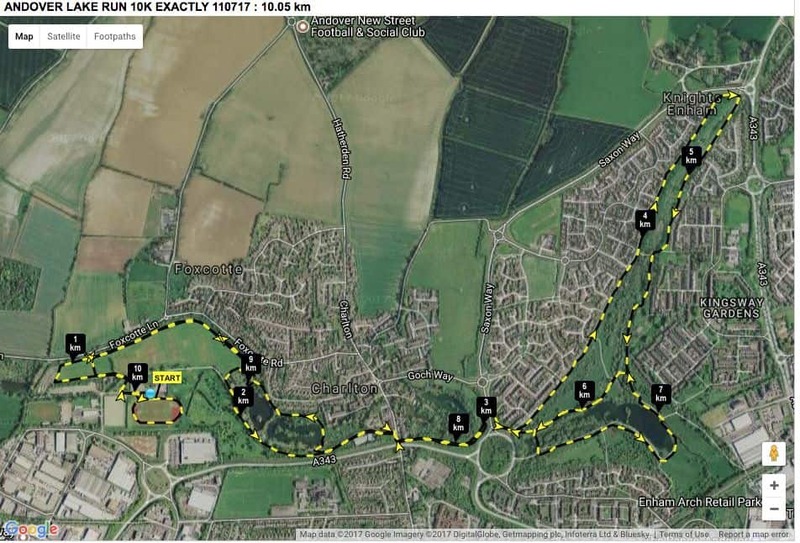 The course is both gentle in gradient and pretty as it includes all the Charlton and Anton lakes north of Andover. 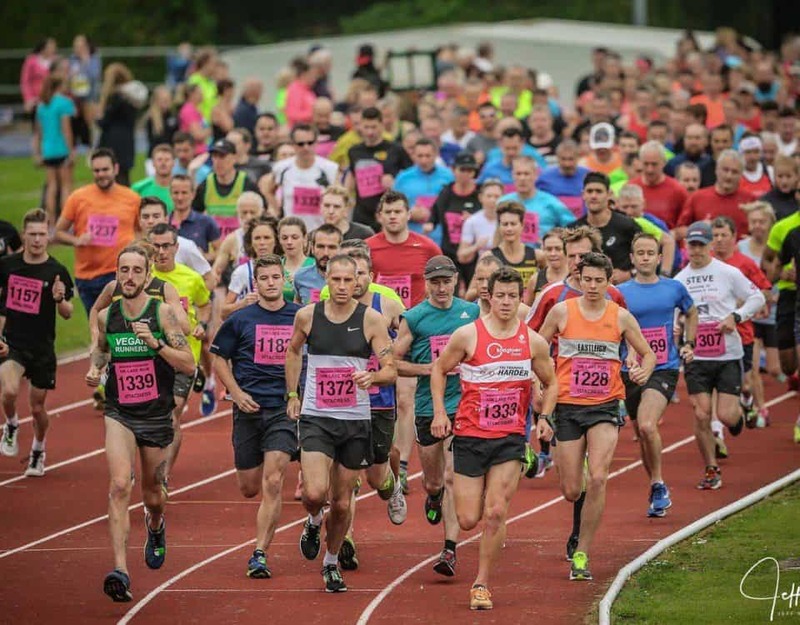 The 10k was won in a very respectable by John Cosgrove in 37mins 44secs narrowly by 4 secs from John Kane in second, improving on last years third, followed by Ricky Lee in third. The women’s winner was again Kate Towerton in 40mins 11secs from Hollie Smith with Emma Gorwood in third. The 5k was won by veteran Ross Wayne in 19mins and 43secs ahead of Abi Woolaston and Hamish Goulding. 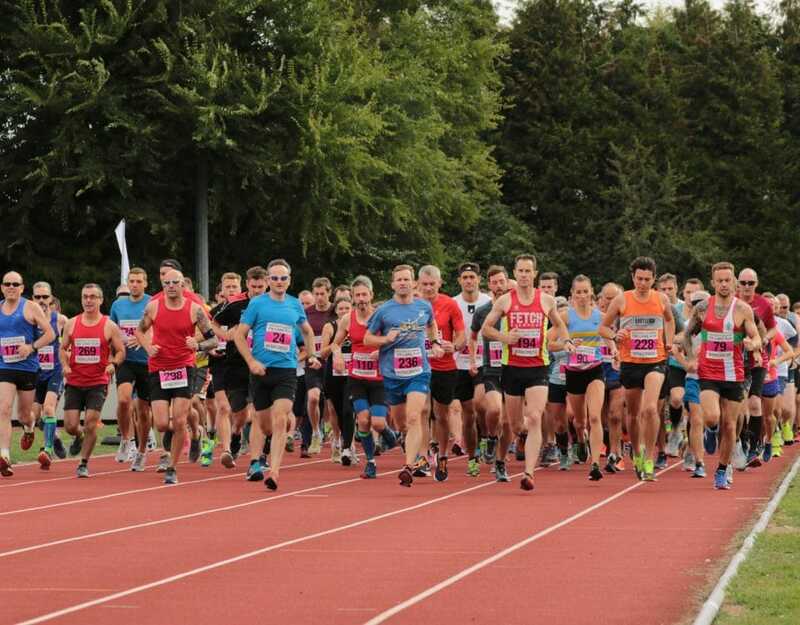 The team race to find Andover’s Fittest Business, kindly sponsored by the Andover Advertiser was won in good style by Vitacress improving on last years 3rd, followed by Simply Health and the colourful Office Depot runners. Finally the Fun Run was mostly contested by younger runners, 32 were 12 or under, the youngest runner was Bertie North at 15 months who completed with some help from his Dad and sisters. The winner was Frankie Arnold (age 10) in a highly respectable 8mins 24secs just ahead of Jack Searle (11) with 8mins 45secs with a close race for third won by Robert Slater (10) just beating Oliver Hicklin (9) and Oliver Appleton (7). 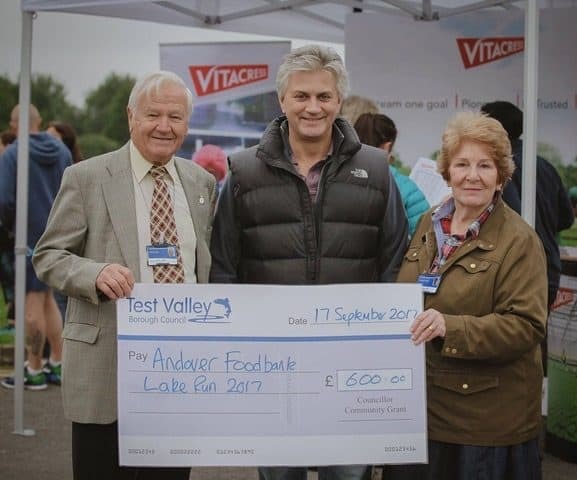 The race was conceived by Jules and Bel Pertwee and organised by a local committee of volunteers with all the proceeds going to the Andover Foodbank, raising over £7,000 this year. The Andover foodbank looks after ‘local people in crisis’ and in 2016 fed 5500 people. While thanks go to all the runners and their supporters, the race would never happen without the Marshalls and Sponsors. The Marshalls are on duty well before the first runners, preparing the course and only finishing after clearing the course after the last runner. The Sponsors, the financial success of the event depends very much on the sponsors and supporting companies. The main sponsor Vitacress, were generous in their contribution and offered all runners post race ‘watercress shots’ and they won the team event – well done. Simply Health both sponsored the event and entered a team, Alton Sports kindly donated the prizes, Hampshire IT managed the technology and website, Sainsburys for the energy bars and Asda for the water. Finally thank you to our hardworking committee – Michael Valenzia, Mike Strong, Hadyn Jellard, Mark Bradford, and Jules and Bel Pertwee, to all the foodbank volunteers, the Mayor for both supporting and running the event and Steve Holder for starting the race for us.